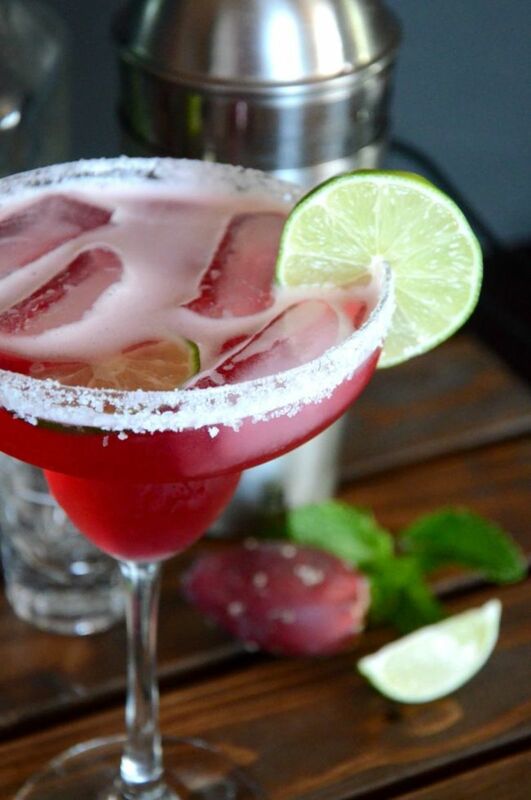 Today I&apos;m sharing a refreshing prickly pear margarita recipe straight from my kitchen here in the the Sonoran Desert. This recipe took a little bit of trial and error since I&apos;m not a "desert rat". But, with the help of my neighbor, I found a good place to pick the fruit (you don&apos;t want to pick it on the side of the road), how to handle the fruit, and what the flavors are like. 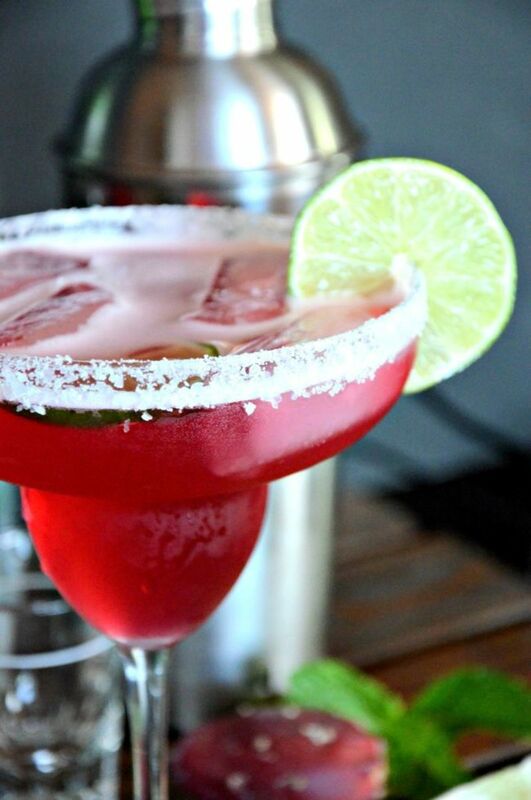 I created this stunning bold red margarita that not only tastes great but looks pretty too! 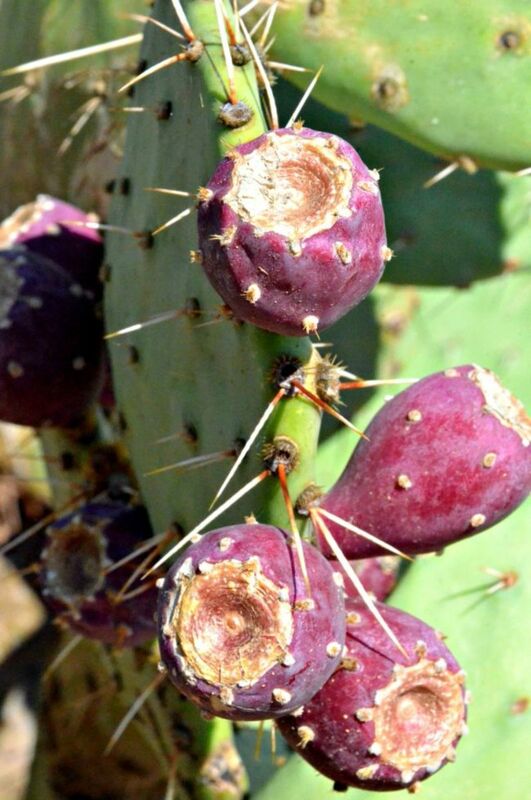 Prickly Pear is a type of cactus fruit that grows on the Opuntia cactus. It&apos;s almost considered a weed where I live in Arizona and can be found practically everywhere you look. I never tried it until we moved to Arizona, but apparently it can be purchased in stores like Trader Joe&apos;s and Whole Foods. 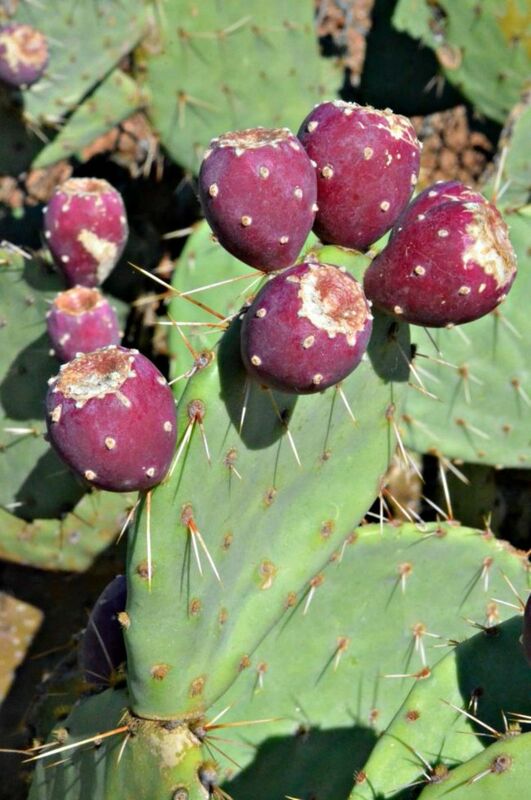 I also found Prickly Pear Syrup online that you can use in your recipe if you can&apos;t find prickly pear fruit to make your own. 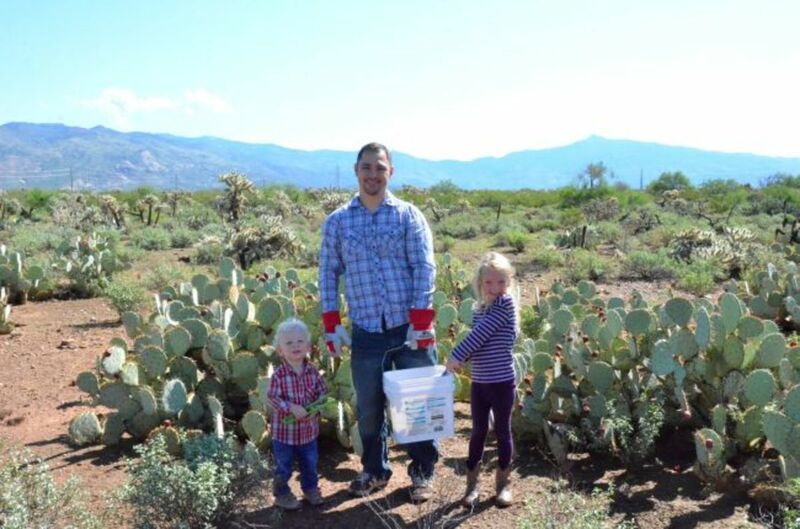 We started by making an early morning trip out to pick some wild prickly pear fruit as a family. The cactus has lots of spines and event the fruit itself has tiny hair like thorns. We used tongs to pick the fruit and collect it in a bucket. 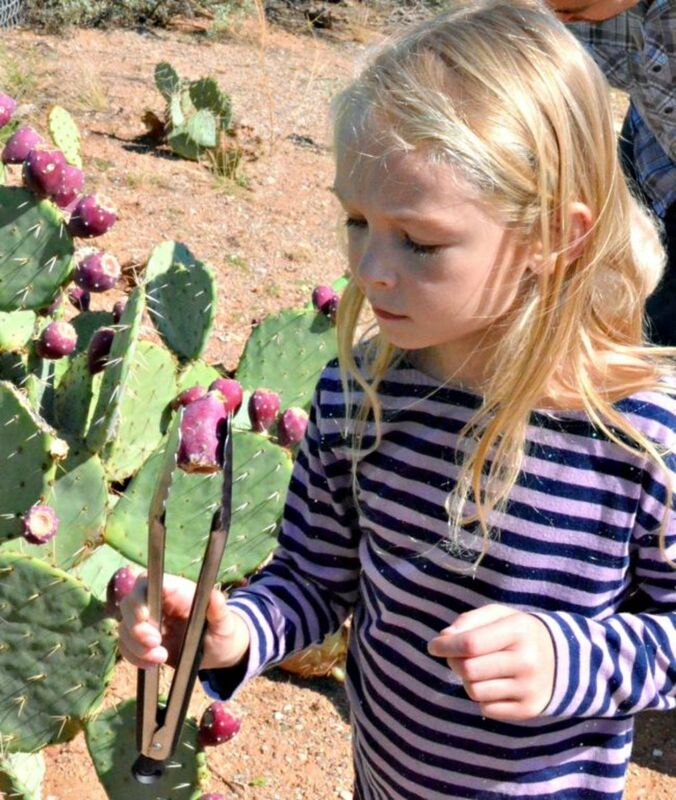 Long pants and shirts are good for kids who have to get pretty close to the cactus to get to some of the fruit. It&apos;s always a good idea to take a pair of tweezers with you to get out the rouge thorns that are bound to get stuck in at least one person. 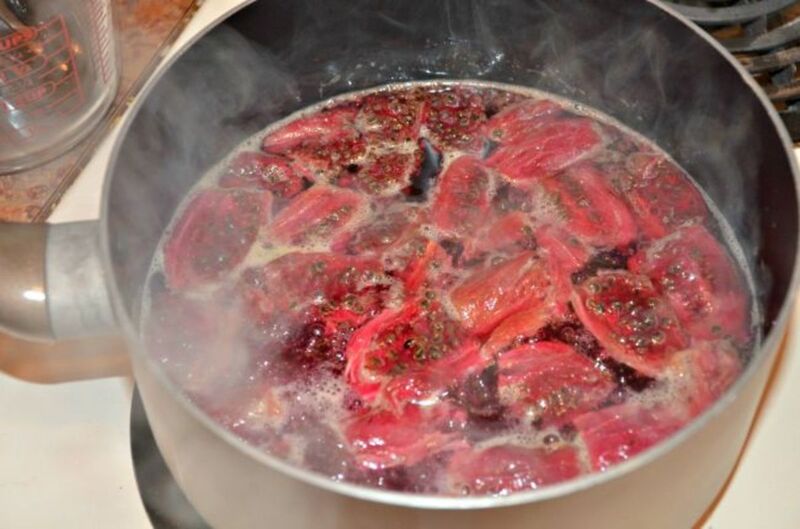 And now here&apos;s how I made my prickly pear simple syrup. 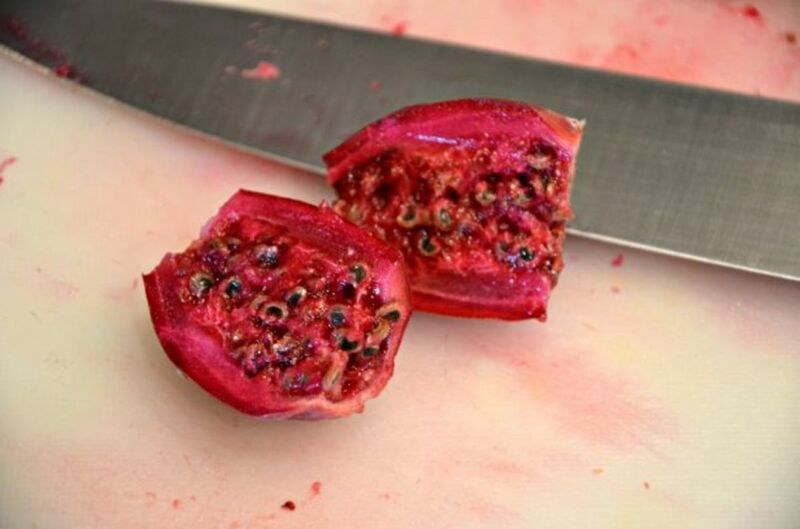 For my recipe I used 15 good sized prickly pear fruit. Rinse your fruit off. Cut off the ends and slice your fruit in half lengthwise. 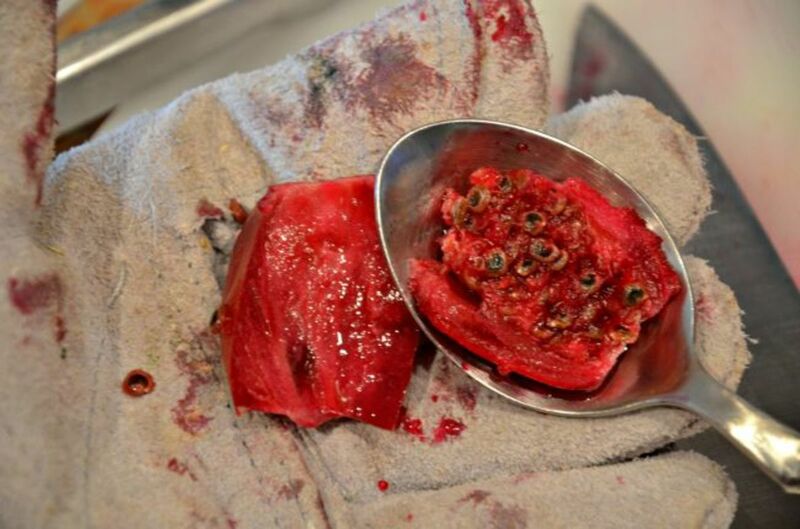 Using a spoon, scoop out the pulp from the skin. I used thick gloves when handling the fruit. On medium heat cook the pulp in a sauce pot for about 10 minutes with your sugar, water, and cinnamon stick. While your fruit is cooking smash it up gently with a potato smasher or the back of a large spoon to help break down the fruit and release the juices. 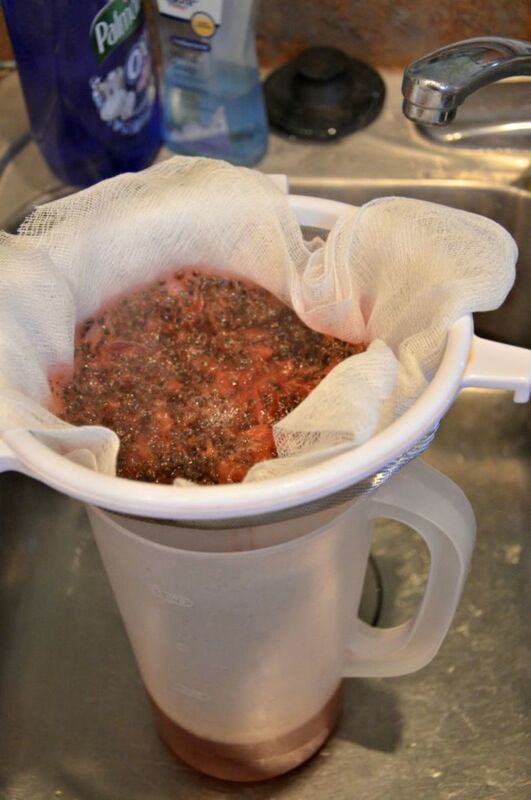 Using a sieve and a few sheets of cheesecloth, drain your liquid into a container or pitcher, and toss out the seeds and pulp. 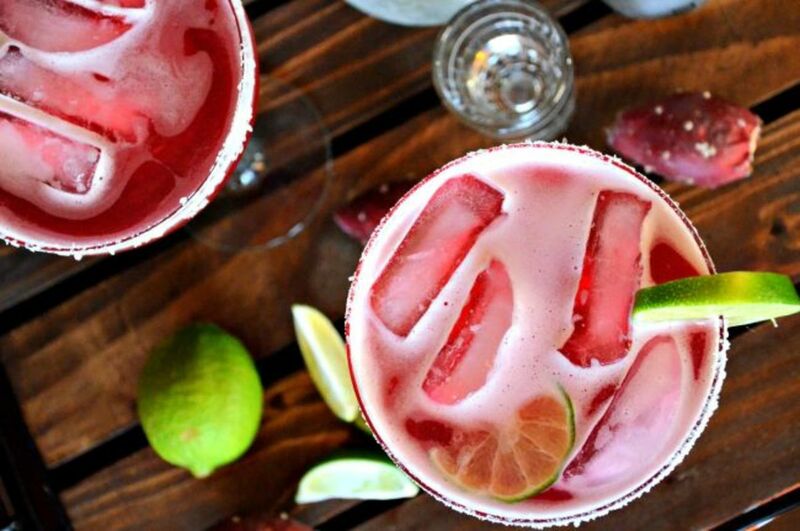 This yields about 2 cups of simple syrup to use to make your Prickly Pear Margarita. I let my prickly pear syrup cool in the fridge before making my margaritas. Remember, if you can&apos;t find prickly pears locally you can always use a syrup like this one on Amazon. Shake them all up together with ice in your cocktail shaker and pour into glasses rimmed with salt. 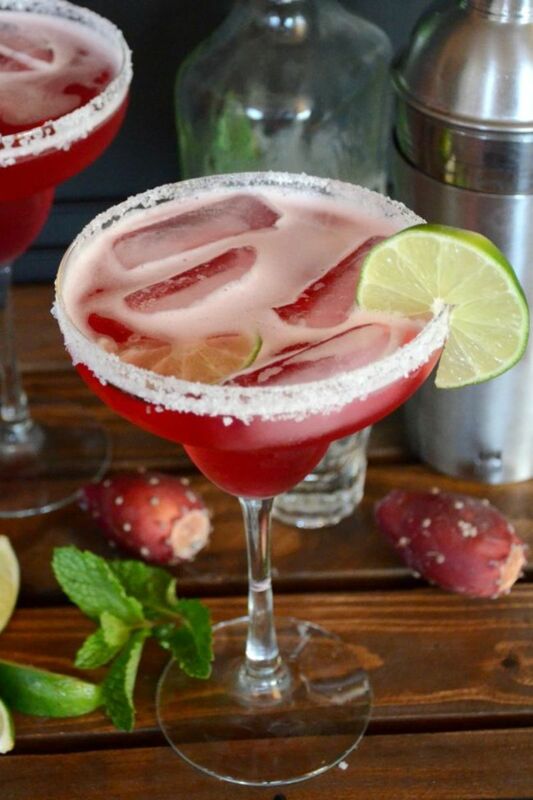 Garnish with lime and mint if desired and enjoy! 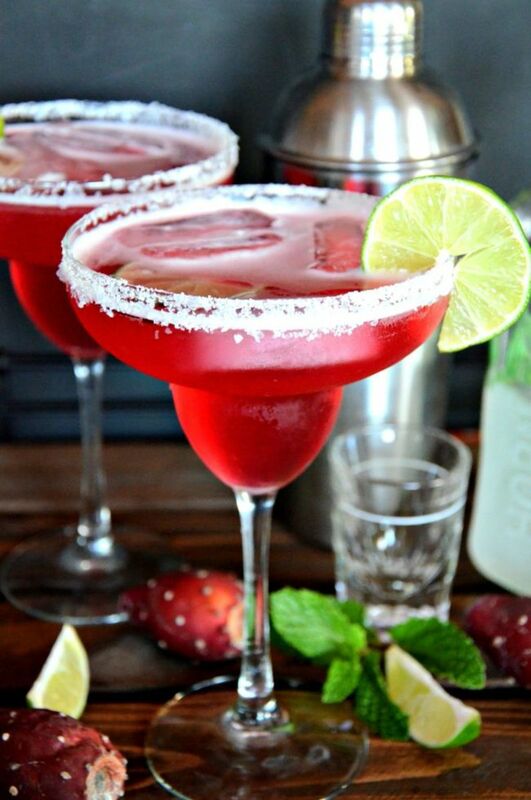 I love the bright red color for this desert margaritas. And the flavor combination is just right! 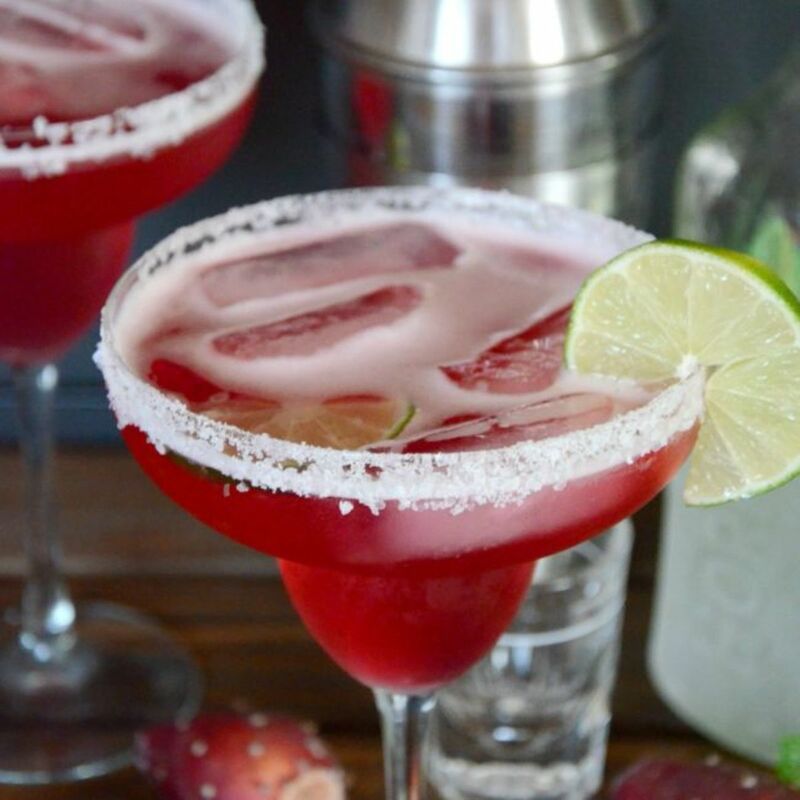 We enjoyed our prickly pear margaritas with my Salsa Verde Enchiladas but that&apos;s another recipe for another day!